Yesterday I attended a pre opening preview at Pink’s Hot Dog Manila. The first foreign foray of the iconic Los Angeles restaurant that has been a fixture of the Hollywood scene since 1939. Run by the same team that brought us Wildflour and Farmacy, Pink’s Manila has the makings of serving up one of the best hotdogs in Manila. 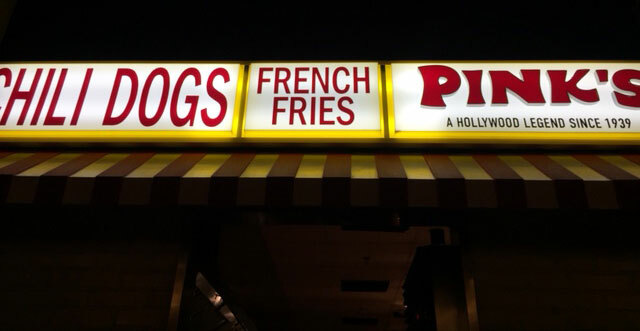 Initially, they will only serve one type of hotdog in two sizes. A seven-inch regular and a four inch junior. There will be around twelve different types of toppings that will run the full spectrum of flavors. Both the hotdogs and buns are made in house in Manila allowing, at least in my opinion, a slightly upgraded experience. In time, additions to both other types of hotdogs, wursts and sausages are expected. There is also a full bar with an entire complement of drinks alcoholic or otherwise. I was only able to try their version of the chili dog, as this was the only item available along with some french fries and onion rings. 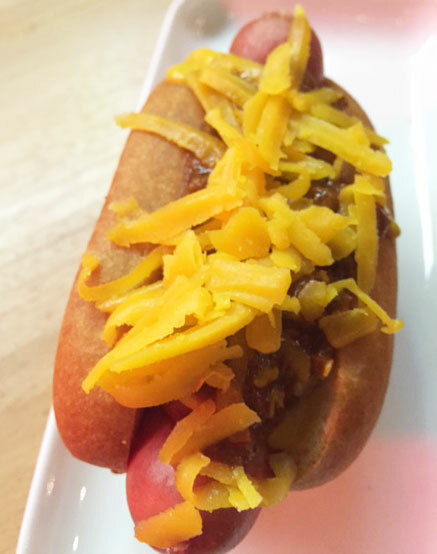 I can say that the dog had the right elasticity; the bun soft and the chili complemented and did not overwhelm. I cannot wait to try their other offerings once the restaurant opens on June 10th.